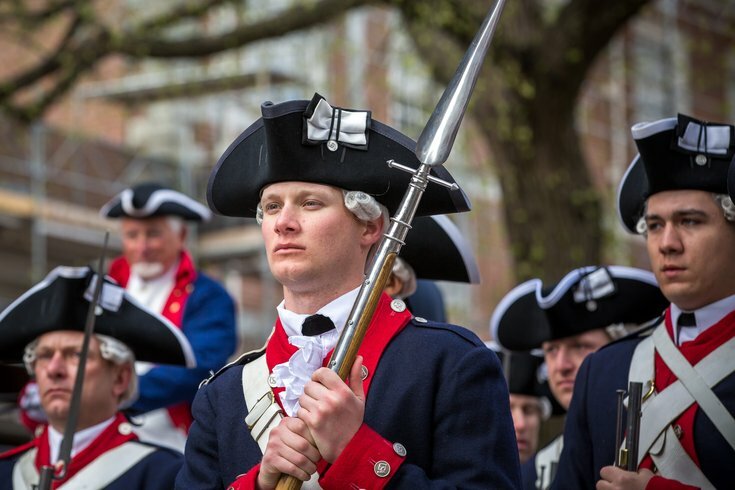 Last year on April 19, the Museum of the American Revolution opened to the public. On the one year anniversary, the history museum will celebrate by offering free general admission to the community. Inside, visitors can explore the history of how America broke free from Britain. There is a collection of Revolutionary-era weapons, diaries and personal items, as well as immersive galleries that offer hands-on activities. Free admission will be available 3 p.m. to 8 p.m., with tickets (walk-up only) becoming available at 2 p.m. for 3 p.m. entry. Normally, admission to the museum is $19 for adults. April 19 is also the date of the museum's next History After Hours, which allows visitors to hang out after-hours and enjoy special themed programs, happy hour food and drink specials, games and trivia. "Recall the first shots fired on April 19, 1775 at Lexington and Concord, Massachusetts, and join us for lantern-lit festivities in commemoration of the museum’s first year open," states a press release from the Museum of the American Revolution about the evening's festivities. Since its grand opening celebration, the museum has welcomed more than 300,000 visitors.